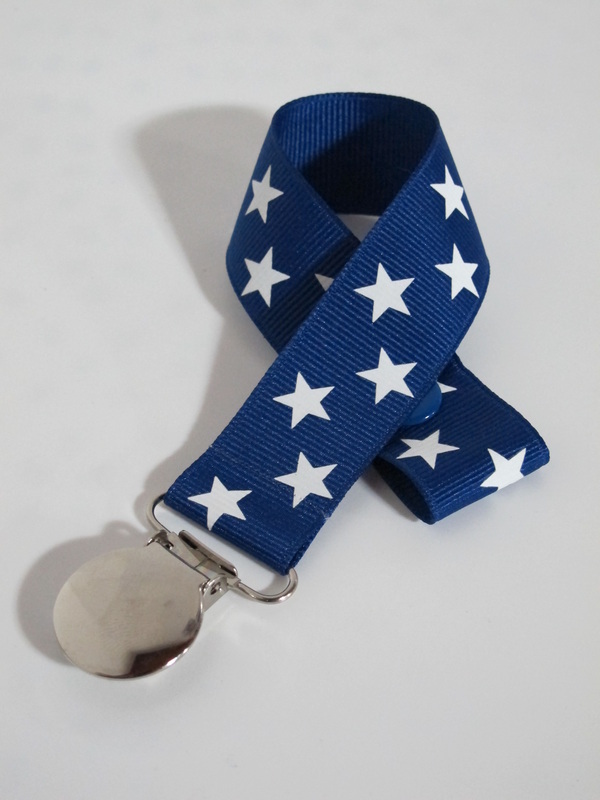 Dummy Clips are made by the very talented Missy in the U.S.A. Missy is a full time stay at home, homeschooling mum to 6 children! 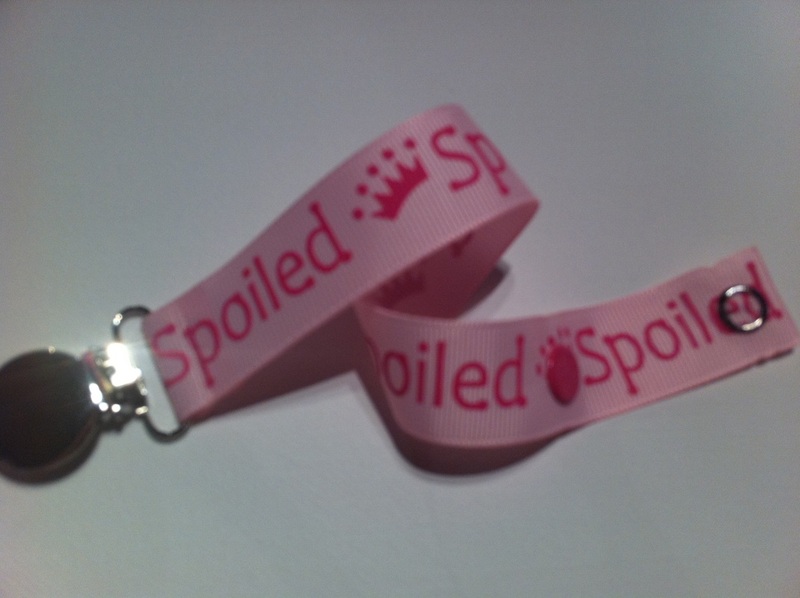 The first 3 came one at a time & the last 3 happened to come at the same time! 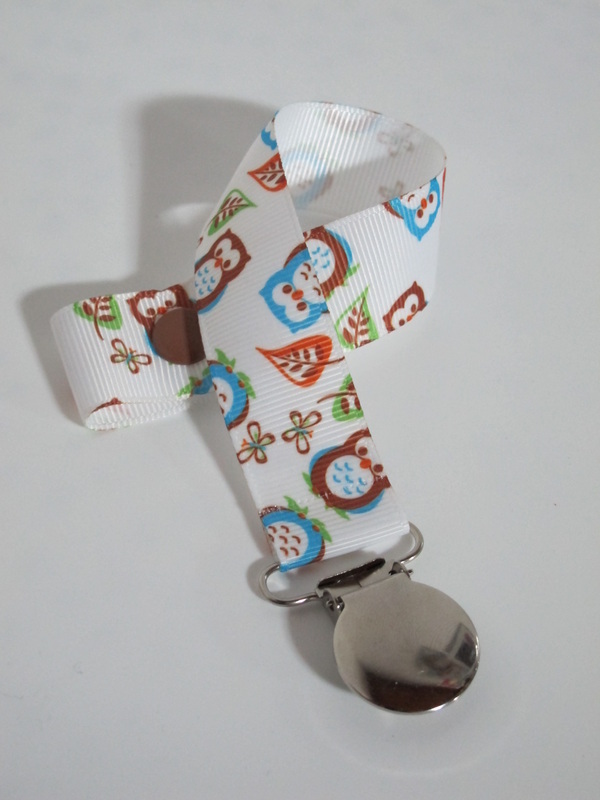 It was when her triplets were born in 2008 that she discovered dummy clips and found out how invaluable they were! 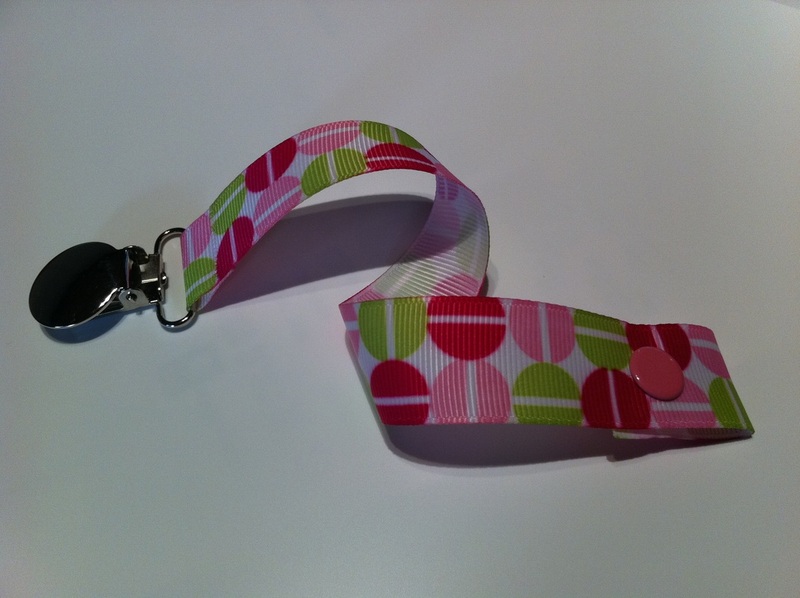 She started making the clips for them to match outfits, and later began selling them. 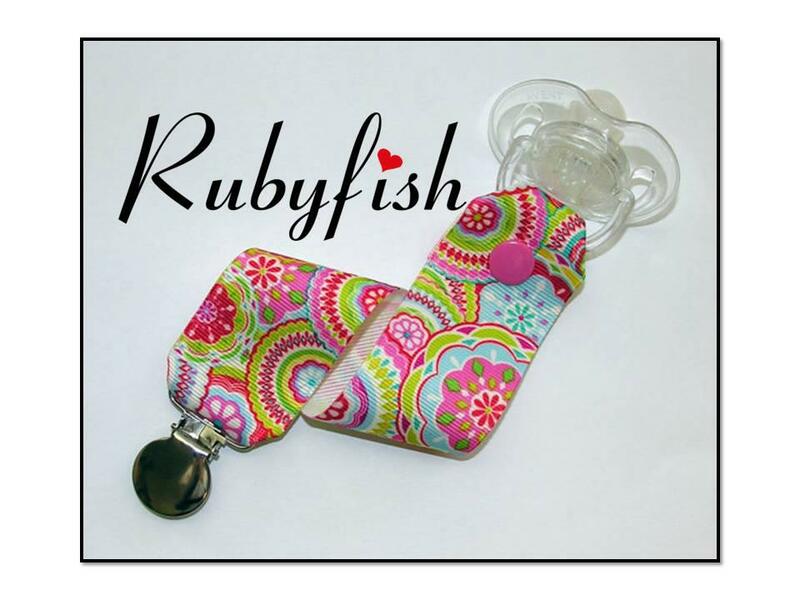 Her triplets have been the real life testers for the clips! 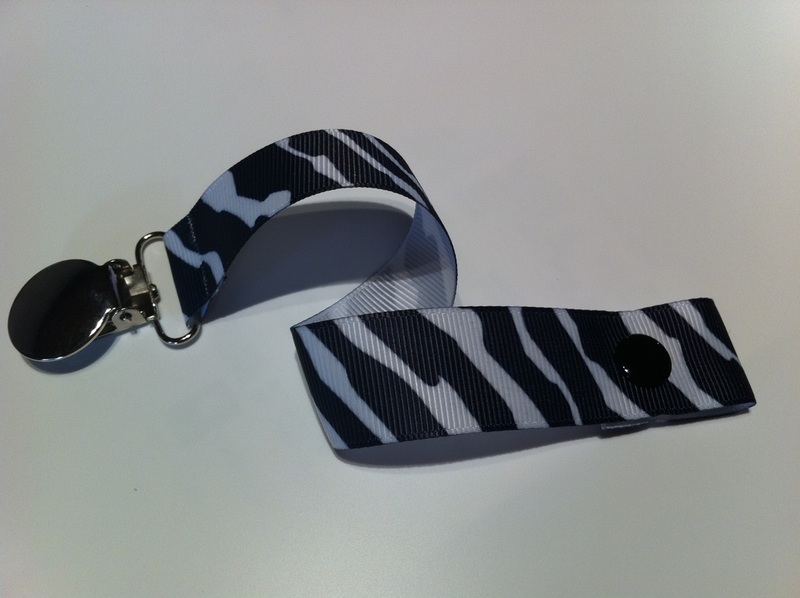 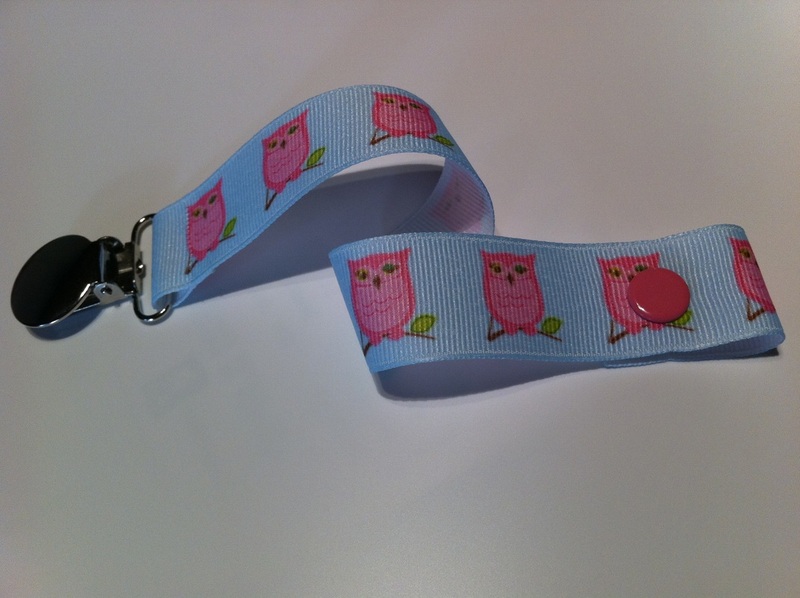 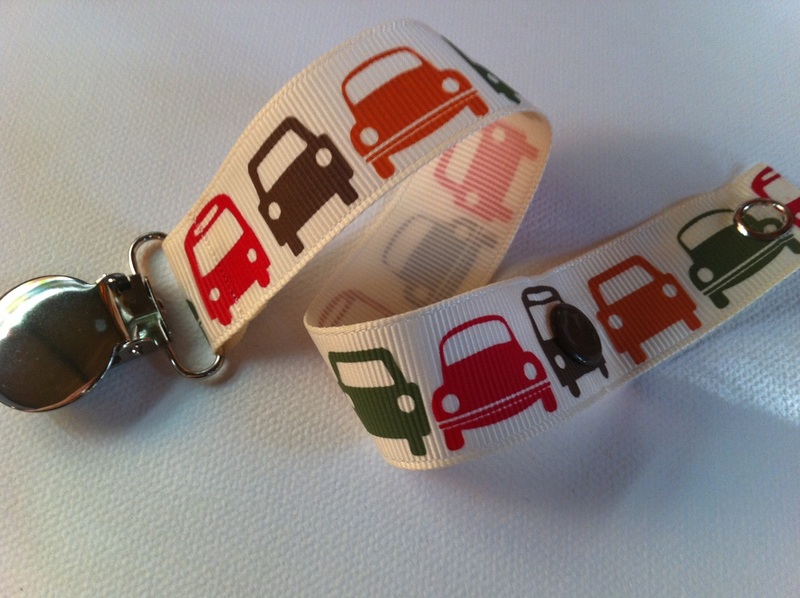 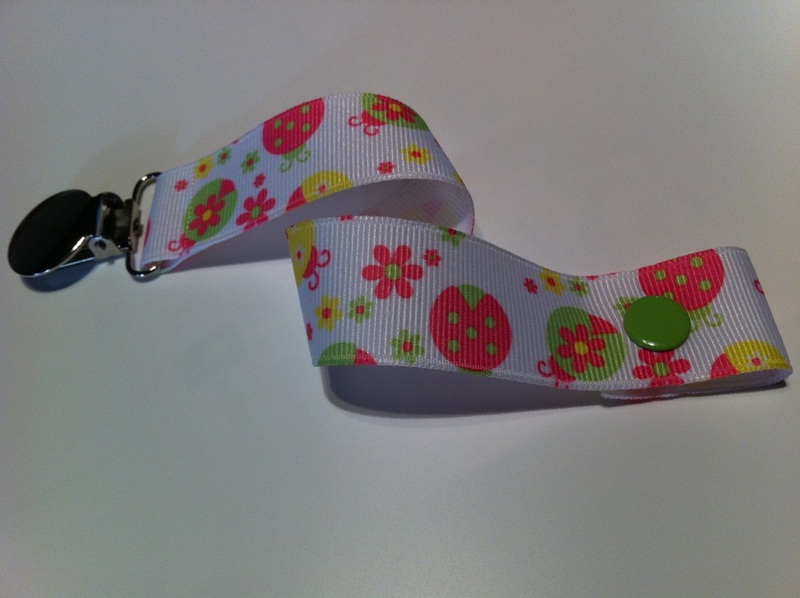 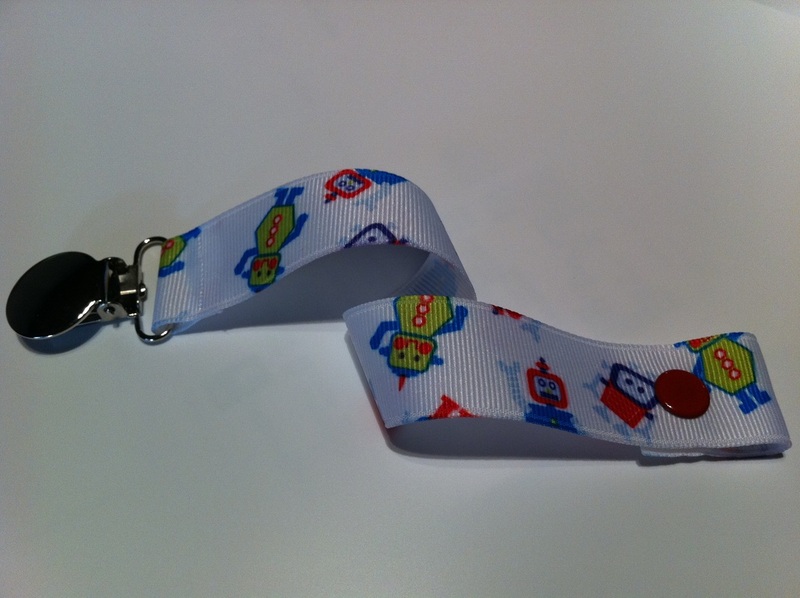 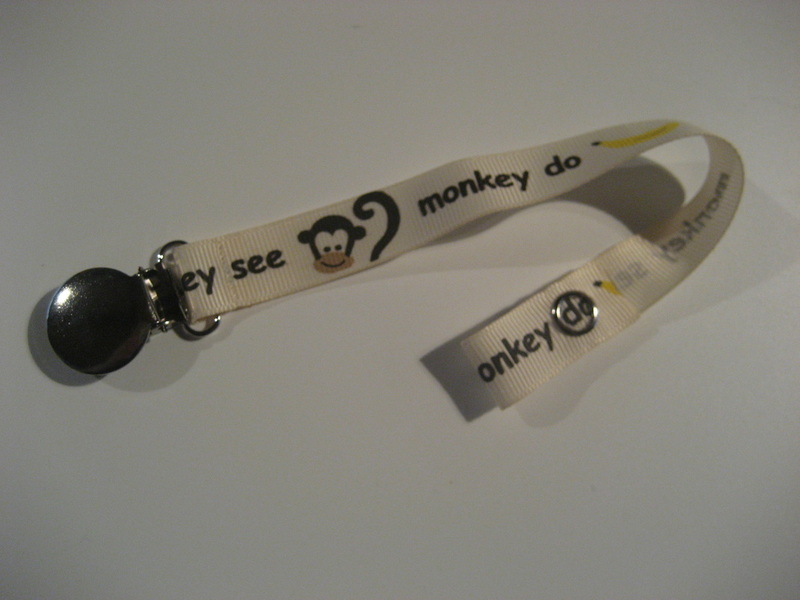 These clips are ideal for keeping little toys and taggy blankets safely in the pram or car seat. 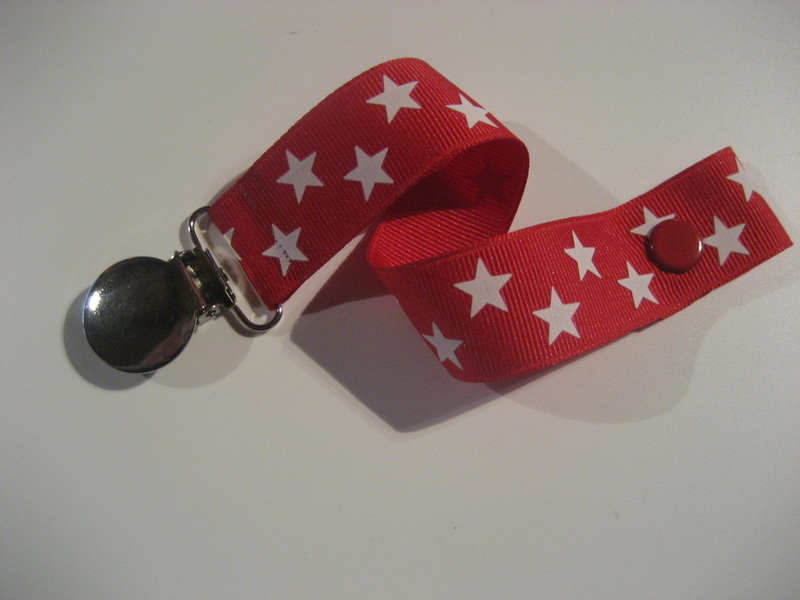 Hook the snap around a tail, tag or leg of a toy or blanket and then clip the button to your child’s clothing, hood of the pram or car seat! 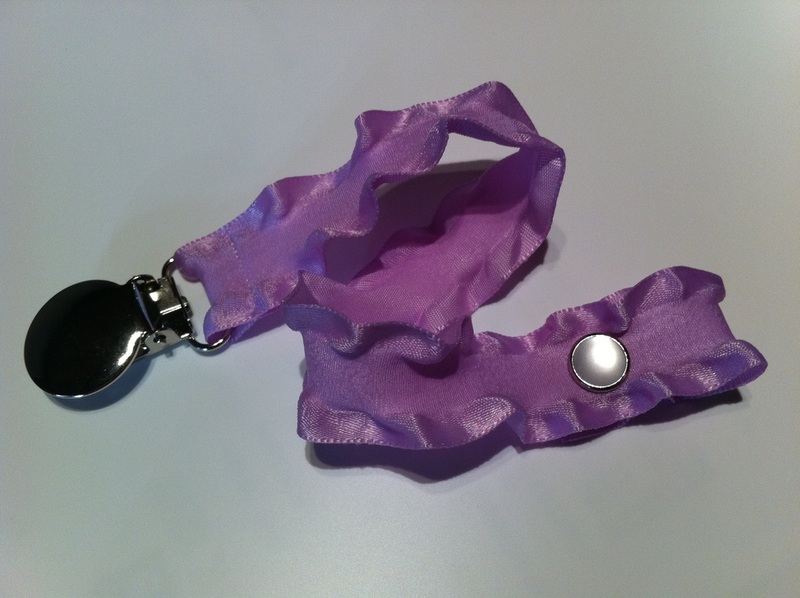 Our clips are easy to use. 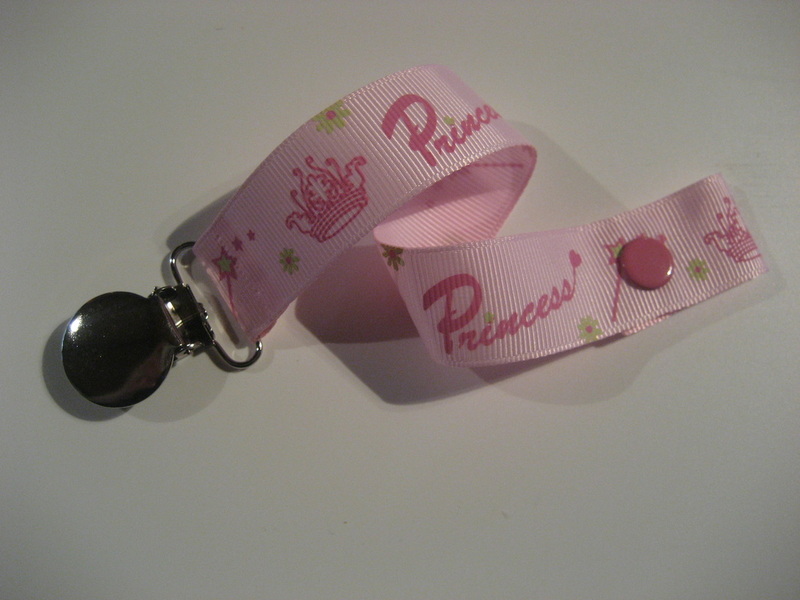 Can be put on with one hand. 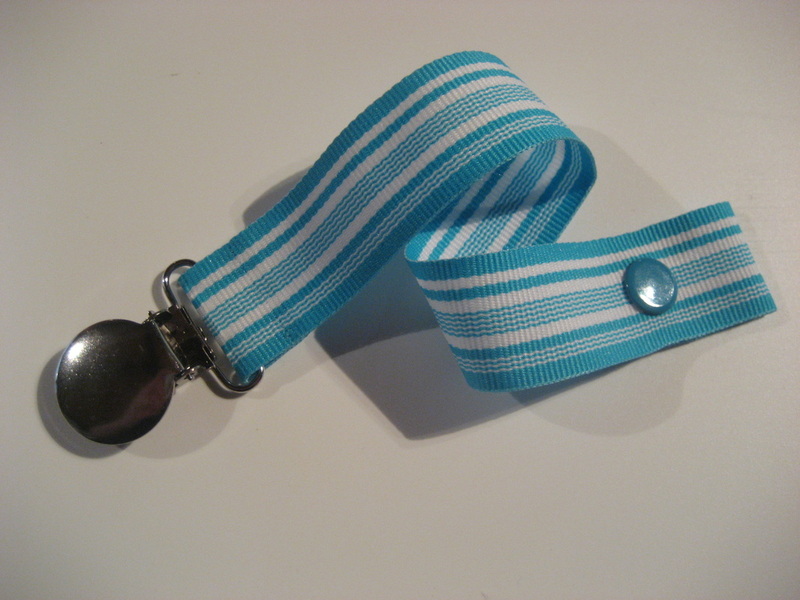 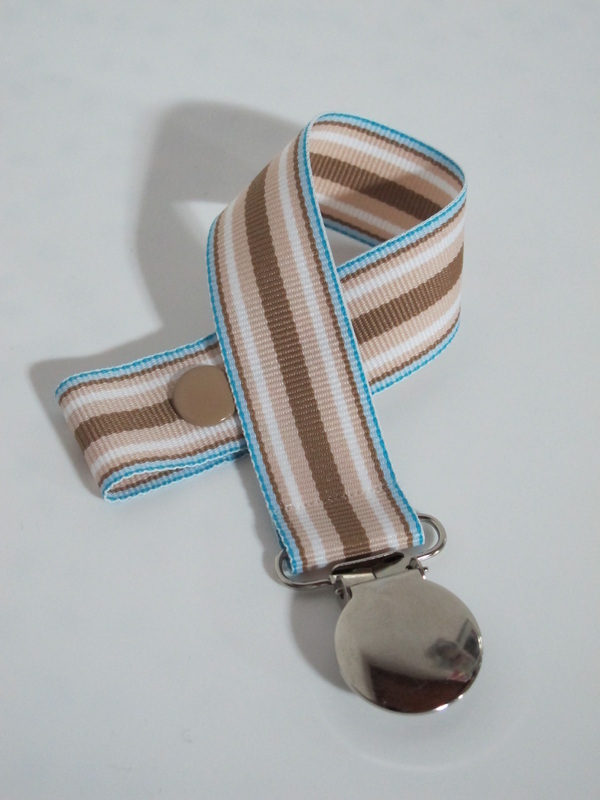 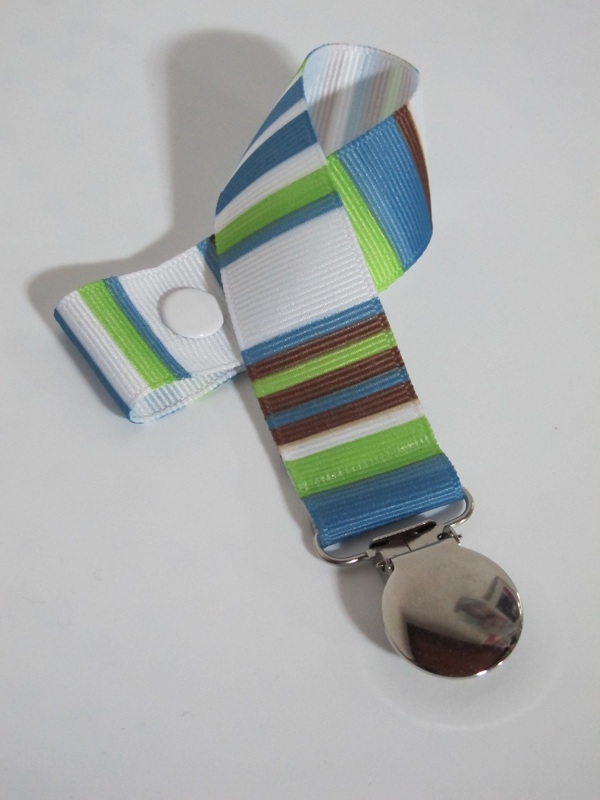 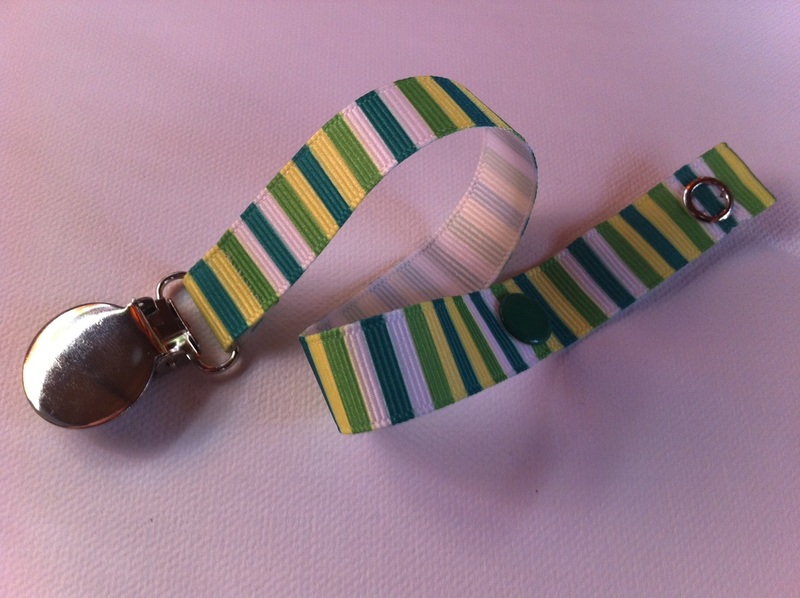 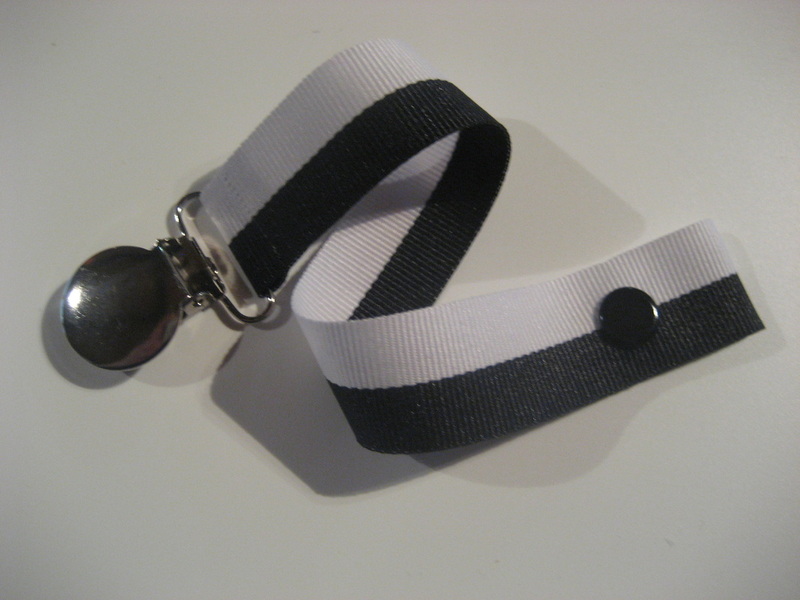 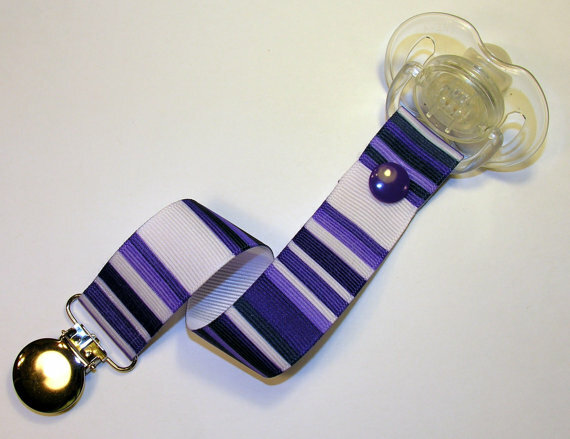 These pacifier clips are made with 5/8" grosgrain ribbon, and are approximately 9" long. 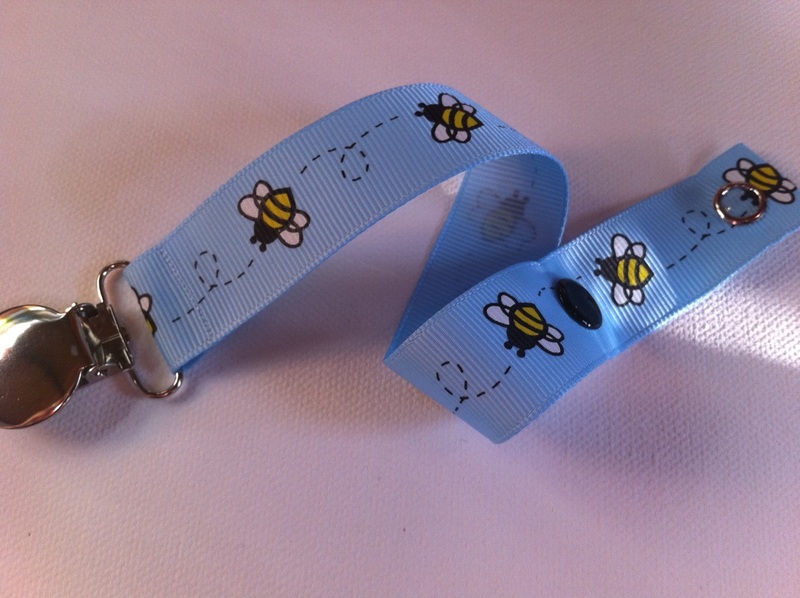 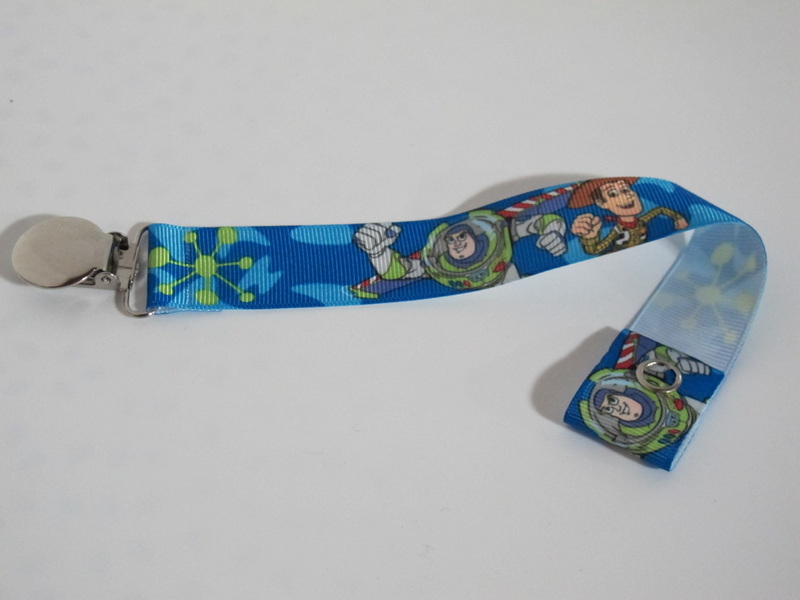 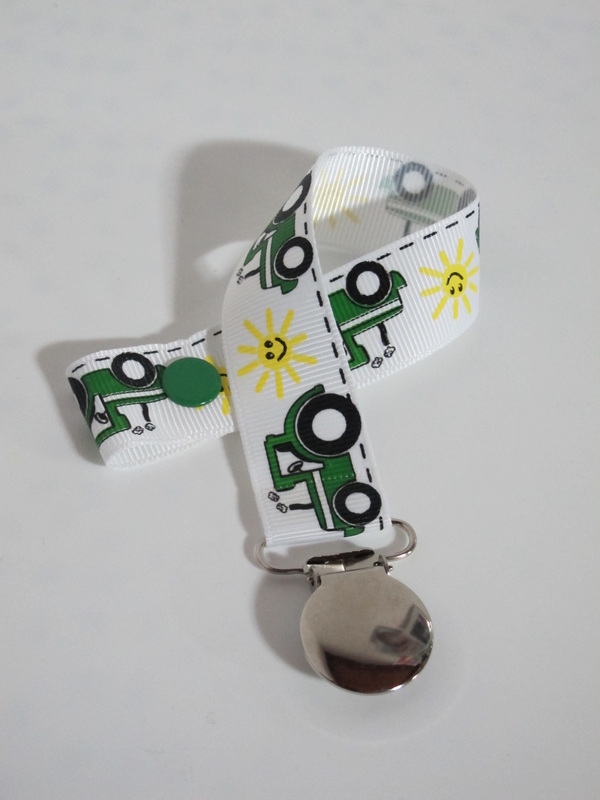 The clips are lead free & nickel plated with plastic teeth on the inside which grip to and protect clothing or anything else you want it attached to so little ones can't pull them off, and they will not rust and ruin clothing with rust stains! 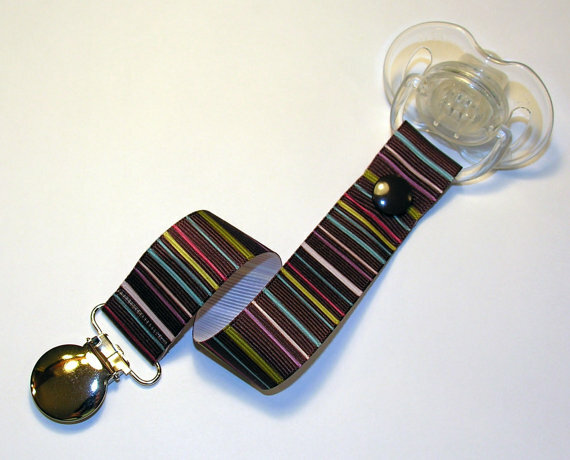 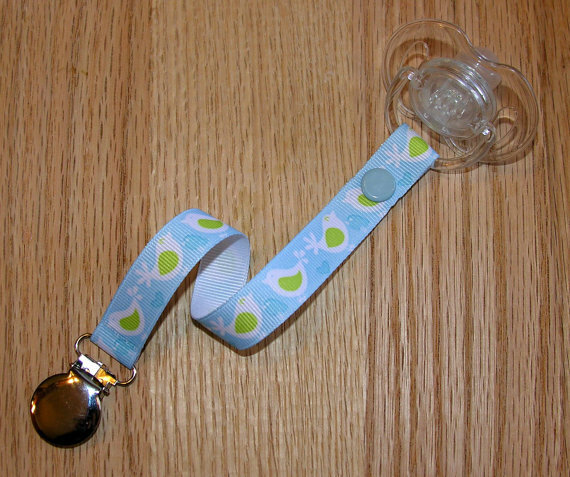 A lead free snap is used to secure the pacifier, or you could also attach a small toy, such as a teething ring so that your little one will not keep dropping it on the ground!